While my husband and I didn’t start out with a mission statement, it developed over time. We strove to do an exceptional job in educating our children but our goal became more than merely raising smart kids who knew the Bible. Our mission statement: We wanted to raise good Christian soldiers for the Lord’s army (a scriptural allusion) by providing the high quality education they would need to succeed in whatever the Lord called them to do. We adjusted this later to say that we were not just raising soldiers for the Lord’s army, but Special Forces. Our desire is for our children to be leaders of the next generation of Christians. Why do they have a mission statement? It helps them maintain focus, remove distractions and use their time effectually to meet their goals. We can apply these same principles to our mission statements. A homeschool mission statement keeps everyone focused on the goal. If you don’t know what you are aiming at, it is hard to hit the target!! With a stated goal, you can progress toward it and know that you are headed in the right direction. If we have a goal for our children to be brought up in the teachings and ways of the Lord, then we need to be bringing them into experiences that will help us achieve that goal. For example, I want my children to realize the importance of corporate worship with like-minded Christians. My husband and I make church attendance a priority. We go every week, rain or snow. A homeschool mission statement keeps away the distractions. Some things may be good things, but if they aren’t helping us meet our goal, then they are distractions. It is good to visit and be friendly with your neighbors, but if you are drinking lattes instead of going over the literature questions with your 7th grader, the visit is a distraction from your mission of homeschooling your children. It is good to help people out. However, if you get asked to watch the Smith’s 3 children and take care of their animals so Mr. and Mrs. Smith can get away for a few days, but this may not be the season of your life to be committing to helping others in this way. If you have decided to homeschool, and do a good job of it, you have to make your homeschooling a priority. There are lots of good things that people can do to help others, but the Red Cross has a specific mission to help those in the face of emergencies. Their mission statement keeps away the distractions of other good works so that they can, and do, excel at helping people in emergency situations. It is great if your daughter has an opportunity to travel to Sweden for a week, but if that trip will take away the finances for homeschooling resources for the rest of the family, you may need to make the hard decision to have her stay home. Play group may be fun for your toddler every now and then, but a good homeschooling co-op may better serve the needs of your homeschooling children. The decision to homeschool comes with a high price tag: your time. Homeschooling will influence a multitude of other decisions because it will force you to choose how you will use the time you have been given. If your son got offered a position in the all-state trombone choir but it will involve 10 hours of travel and rehearsal time every week, you may not be able to do it. Unless your son is planning a career in music education, the price of that time from you may be too high. I have always believed that God had the resources I needed to help my children where I was. So I looked in my area to find the people to help me: a local piano teacher, a lady from church that could teach my daughter to crochet, a neighbor that could take my son rabbit hunting, and children from my local homeschool gym group for playmates. God has promised to meet our needs. Hold Him to it! Inquire at your library and see what resources He has placed locally around you. You may not live near a symphony, but there may be a group of musicians that gathers in the summer evenings to play on the town green. You might not live where there are craft classes taught every night of the week, but the lady down the street has been teaching calligraphy for years. Let me know what you find! Here’s my Youtube version of Homeschool Mission Statement. Facebook: Homeschool Christian Mom -We discuss the ins and outs of our homeschooling days and offer great ideas to help each other succeed. 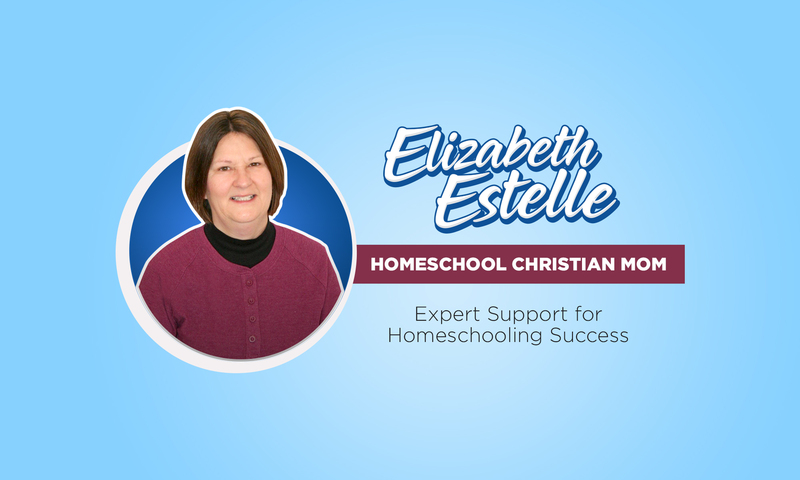 Youtube: Homeschool Christian Mom -These videos discuss homeschool scheduling, working with your Littles, thinking long term and praying with and for your students.